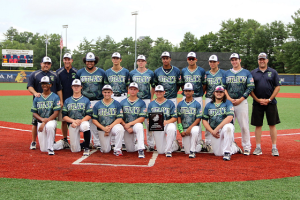 2018 16U ITBL League Champions (Perfect 15-0)! 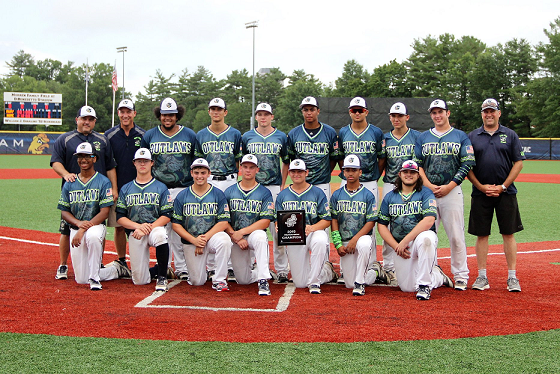 The Ocean State Outlaws Baseball Club is a family-oriented organization whose main objective is to assist in the development of strong, disciplined, self-assured youth through the game of baseball. Participation in competitive sports such as travel/tournament baseball not only helps to become better baseball players, but better all around individuals. It also puts them at an advantage when trying out for high school teams, which could eventually lead to college athletic scholarships. Starting in the Summer of 2018, The Outlaws sent their first two 12U teams to Cooperstown Dreams Park and will be continuing the tradition every summer going forward. As an affiliated organization of the Amateur Athletic Union (AAU), we are recognized as a 501(c)3 organization, which provides for unique fundraising opportunities, when applicable.